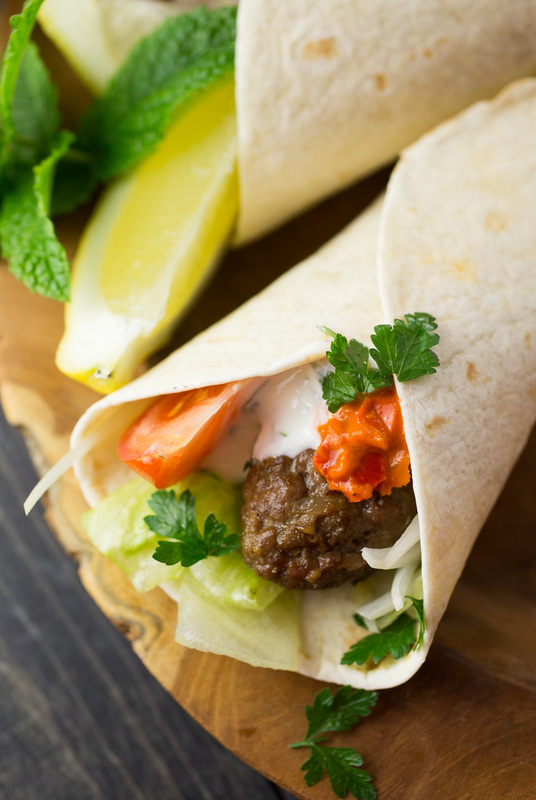 I don’t care if it’s 18°C here and raining, I am still grilling and those lamb kofta wraps have been regularly on our menu at home. Especially since we got that new fancy gas grill, I am using every chance I get. It’s so quick and the kitchen stays clean(ish). I don’t know if you get to enjoy a lot of turkish food where you live, but I am lucky enough to live in a multi-cultural city with a large turkish population and we have so many great restaurants here, that serve way more than just doner kebaps (which you can find plenty in every city in Germany… some great, some not so great). I love turkish cuisine in general. 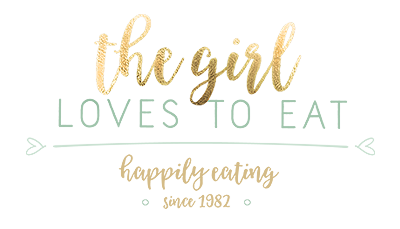 You get tasty grilled meat, stewed meat, lots of veggies, great spices, fresh components. So when spring is here, me and some colleagues usually stroll to our town marketplace in our lunch break to enjoy a fresh, crispy lahmacun with meat and salad. Another treat we get here, with having such a large turkish community, is a local festival held during Ramadhan. After sunset people (from islamic and non-islamic background) come together to eat delicious food, enjoy some tea and smoke shisha. They make great lamb koftas there. But since once a year is not enough, I clearly needed to start making them at home. 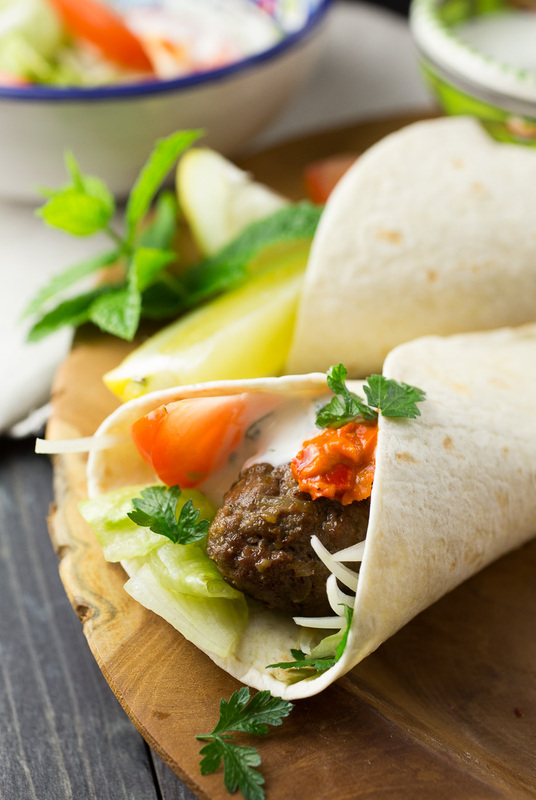 So this is my recipe for lamb kofta wraps. Enjoy! 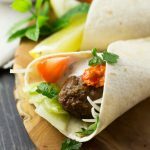 Spicy lamb koftas wraps, with salad, ajvar and mint joghurt. First prepare the yoghurt. Mix the yoghurt with mint and garlic, set aside for later. Heat a splash of olive oil in a small pan over medium heat. Add the chopped onions and garlic and cook for 5-6 minutes or until the onions have softened. Add the cumin and chili flakes and fry for another minute. In a bowl combine the ground lamb with the onion mix. Add salt and pepper and mix well. 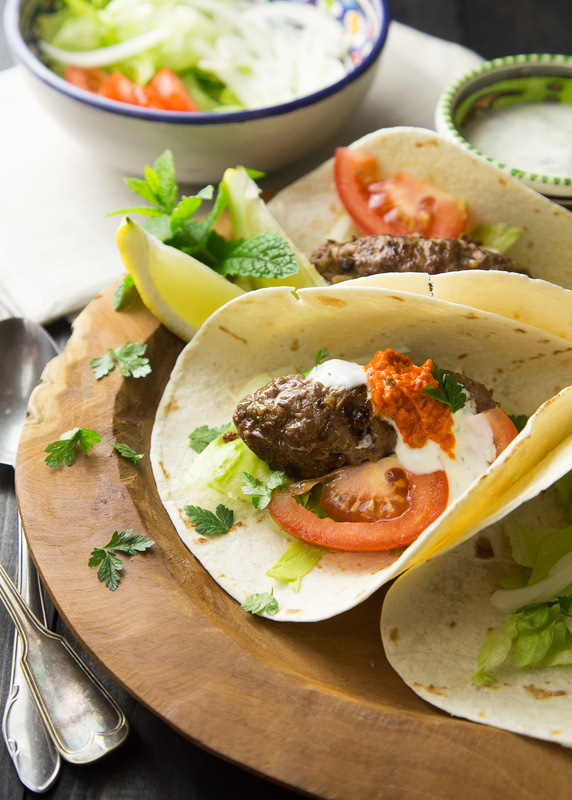 Divide into 4 portions and form the lamb koftas. Try not to make them too thick or else they will take forever to cook. 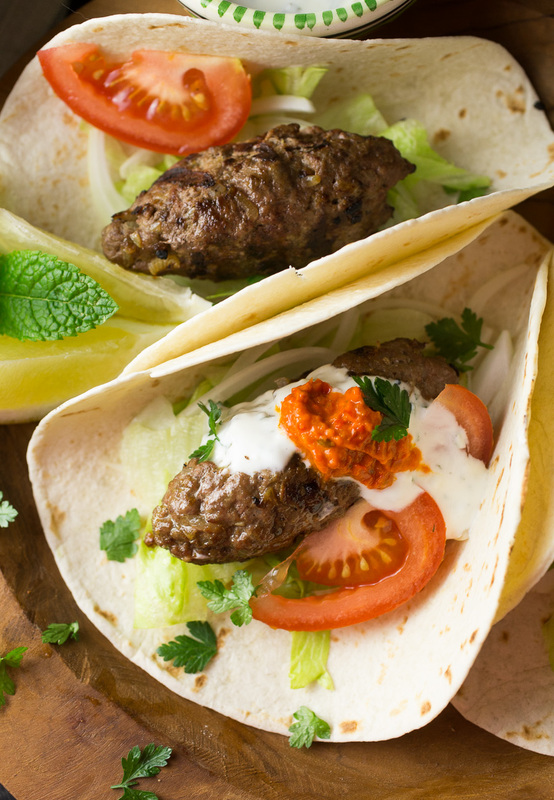 How you cook the koftas is up to you. You can use a grill or you can make them in a griddle pan on your stove. Cook them for at least 10-15 minutes, turning them frequently until they are brown and cooked through on the inside. This completely depends on how thick you made them. 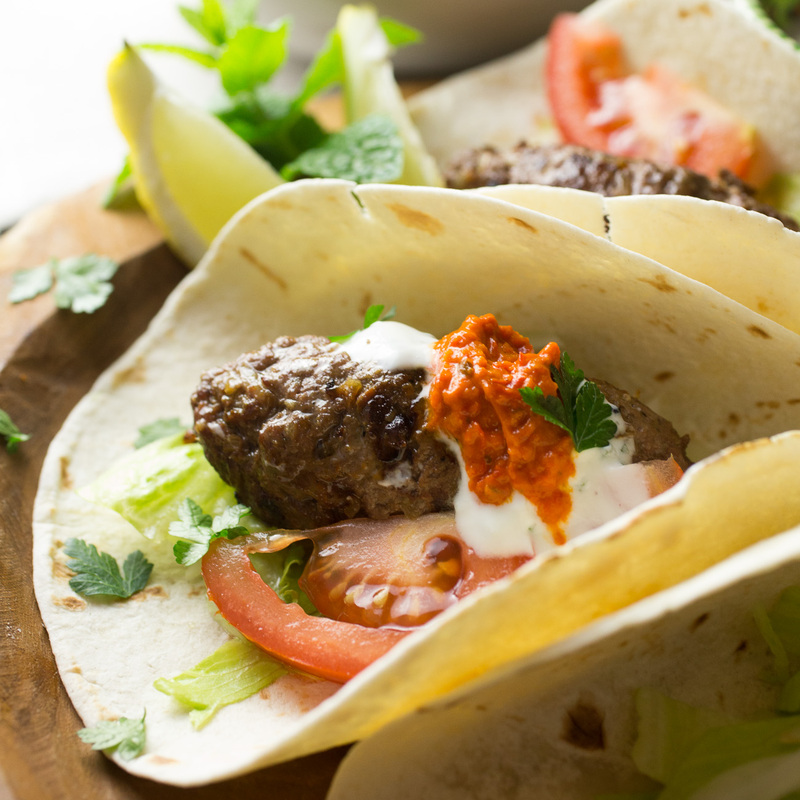 To assemble the wraps, spread 1-2 tsp ajvar on each wrap. Add a bit of lettuce, onions and two slices of tomato. 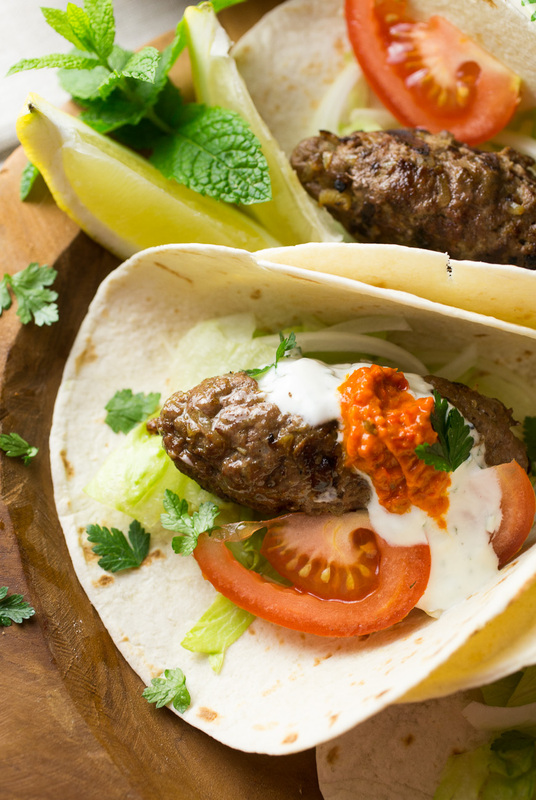 Add the koftas, a generous splash of the mint yoghurt and a few sprinkles of lemon juice. Or put everything on the table and let the people wrap their own wraps! Yum!